CSA first became involved in the West Durrington site in 2011, following two earlier unsuccessful planning applications. The brief was to look at the site afresh and to produce a masterplan which was informed by a detailed landscape appraisal of the area, which considered the relationship of the site to the South Downs National Park, the neighbouring Ancient Woodland and the adjoining Goring Conservation Area. Following the preparation of the Landscape Appraisal, which formed the basis of an ES Chapter, CSA prepared a masterplan for 700 dwellings, a primary school and recreational open space. 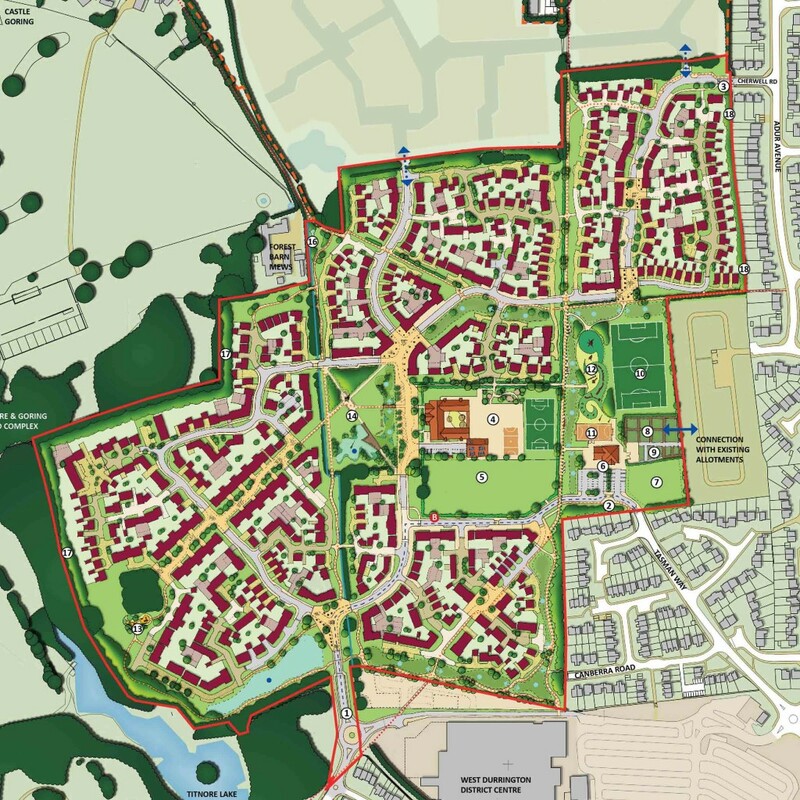 The scheme was granted outline planning permission in 2012 and CSA are currently designing the landscape infrastructure for the project.